Kapa`a, Hawai`i–School is in full swing now, the autumn equinox arrived Sept. 22, and the rainy season will soon be upon us, relieving areas of drought and dryness and renewing the life of the land. Members of the educational committee of Ka `Imi Na`auao o Hawai`i Nei Institute are reaching out to school principals, teachers, cultural and club leaders, and librarians to announce a fall semester “Educators’ Special” for the non-profit cultural Institute’s DVD and study guide, “Hawaiians as Scientists, He Mele No Kane (The Waters of Kane).” This innovative teaching tool on the importance of the water cycle in nature was carefully planned as a ready-to-use lesson plan. The “hands-on” units require observation and critical thinking. The Ka `Imi-produced teaching-and-learning product describes the water cycle as illustrated by the traditional Hawaiian chant illustrating “The Waters of Kane.” It includes a comprehensive lecture on the importance of fresh water streams and animals throughout the natural cycle by Kaua`i District Aquatic Biologist Donald Heacock. Ka `Imi students of the Maui branch school were filmed for the chant segment in natural settings, mauka to makai (mountains to sea). 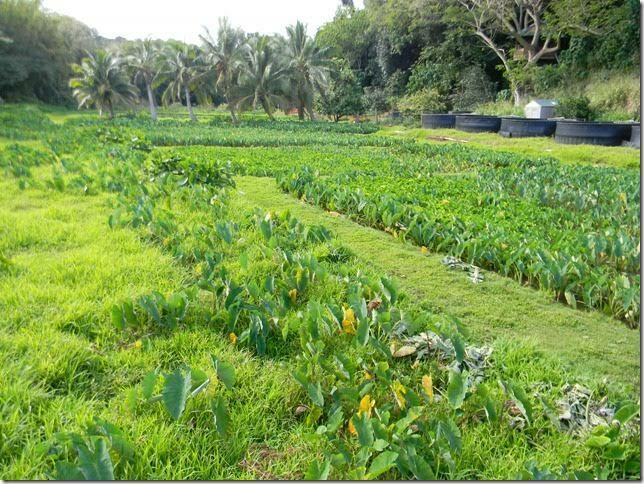 The lecture was filmed at a working kalo (taro) farm. The material is geared to elementary through middle school classes and beyond, to life learners. Regularly $25, the cost to educators (which includes cultural and organizational leaders and librarians) will be $15 per copy. The idea of offering the DVD Educators’ Special for the fall semester 2016 came into being after Jo “Keahi” Manea and Dawn “Ke`ike” Kawahara, who both volunteered time with others on Ka `Imi’s educational committee, were recently interviewed about “Hawaiians as Scientists” by Tracey Schavone on KKCR, said Kawahara, Ka `Imi vice president. Kawahara, a writer and publisher, completed the final edit and formatting of the study guide which was developed by Carol Pescaia, a retired teacher with many years of experience who chaired the educational committee for this project. “We’d like to see the valuable material on the DVD disseminated into schools and organizations to reach children and interested people of all ages, since education is an important part of Ka `Imi’s mission,” said Manea, secretary and Kumu Hula (retired) of the East Side branch school. An advanced student of Hawaiian language, Manea fulfilled the role of editing the printed Hawaiian language portion. Both women were in the groups of Ka `Imi Institute members that launched the DVD in February at the annual E Pili Kakou conference held at the Kaua`i Aston, and made it available for viewing at the Sept. 7 expo that focused on sustainability hosted by the National Tropical Botanical Gardens in Lawai for the International Union for Conservation of Nature (IUCN) Worldwide Conservation Congress. Kawahara also gave a DVD demonstration and talk at the Kapa`a Regional Library in May, supported by Roselle Bailey, founder and guiding officer of Ka `Imi Institute. For more information and to purchase “Hawaiians as Scientists, He Mele No Kane” with its study guide included and the lecture bonus, please visit www.kaimi.org If paying via PayPal via the website, please mention the “ Educators’ Special.” Shipping and handling is $3 per DVD copy ordered. Alternatively, you may download an order or interest form and write to: Ka `Imi Institute, Attn: Fall Educators’ Special-HaS DVD, P. O. Box 1686, Kapaa, HI 96746.